The E3 Business Expo is a unique regional event for business and industry. Featuring an exhibition, a seminar programme and a series of networking events, it seeks to pack as much as possible into a single day. Previous years’ events have proved that the one-day format works extremely well, minimising the quiet periods that often occur in multiple day events. At the E3 Business Expo, exhibitors can expect steady traffic throughout the day, while visitors can expect a wealth of opportunities to browse, learn and network. Aimed primarily at small and medium-sized enterprises, the E3 Business will host around 70 stands. Here, some of the North West’s most dynamic businesses will be demonstrating new technologies and cost-effective solutions to everyday commercial challenges. This year, the exhibition will also feature a ‘fleet zone’ where delegates can get help with all things vehicular – everything from free safety checks to the latest developments in commercial vehicle security and tracking. The combination of exhibition, seminars, workshops and speed networking creates an ideal platform for delegates to make new contacts and to learn from leading experts in their fields. The Expo will feature six seminars over the course of the day. These will address important issues such as sales, business networking, digital marketing and social media. As ever, the event will be attended by a diverse mix of businesses, charities, entrepreneurs and representatives of professional bodies. 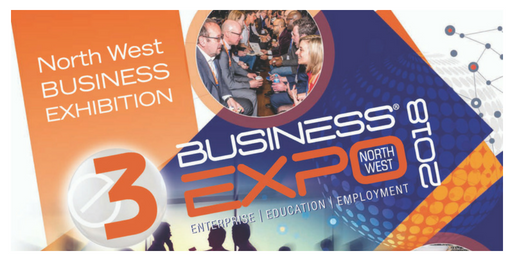 The Expo routinely attracts visitors from a broad range of sectors, right across the North West, so exhibitors at the 2018 event will be able to promote themselves to a multi-sector, regional audience. Exhibition stand bookings are now open. Companies can book their stands online here. Those interested in sponsoring key parts of the event are invited to contact the organisers or click here for more information. Visitor registrations will open on 8th January 2018.